That's a really beautiful quilt. I like the organized scrappiness of it & love the borders you used to accent the scrappy stars. Great job getting the border fabric lined up straight and mitering the corners. This is gorgeous! So stunning. This is what I love about this board. 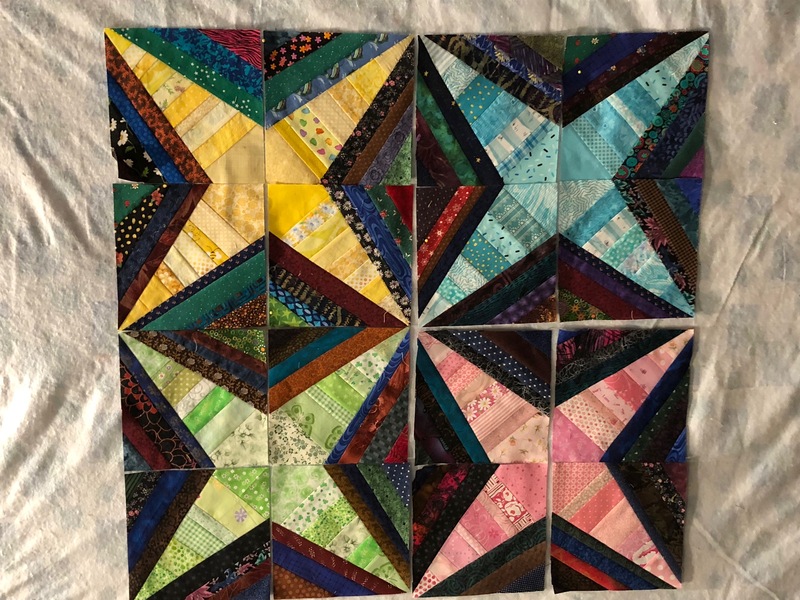 I open a thread and a quilt makes me happy just to look at it. Fabulous job with both stars and borders. Amazing! 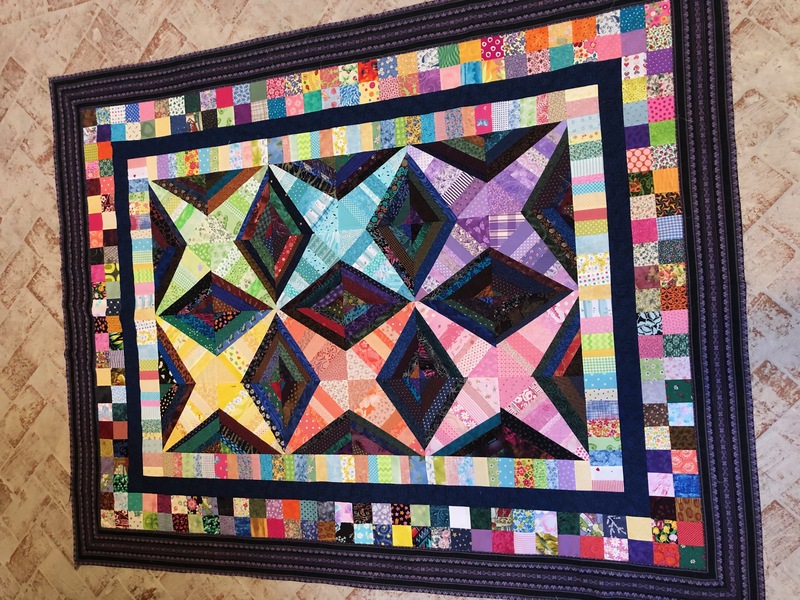 This is really quite the colorful quilt...done tastefully, of course! Is it for you? I'd find this one difficult to give to anyone! I love the borders on this one. Gives me ideas to make some of mine larger. But I really love the stars. What a neat idea to make the center triangles of strips of the same colorway.